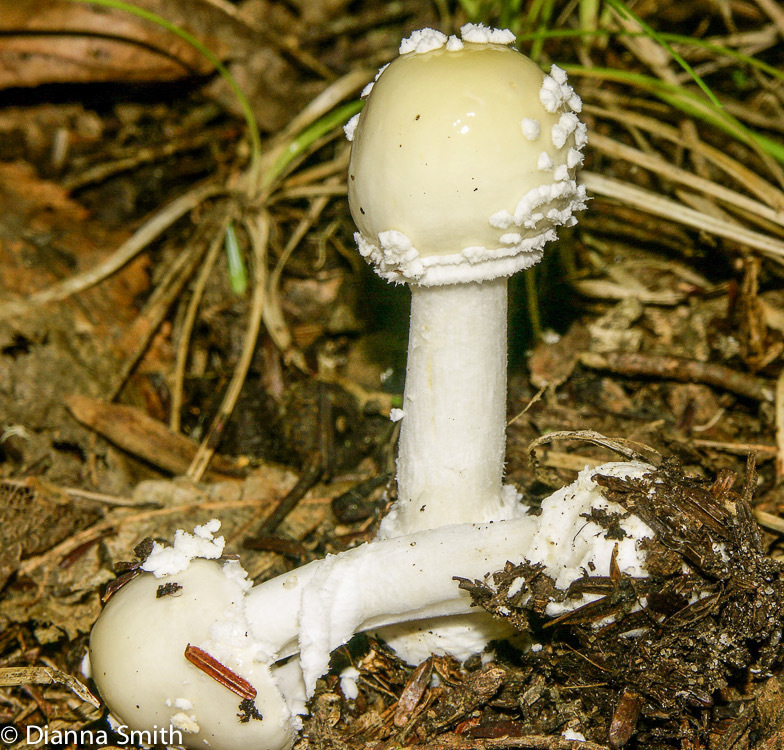 Amanita russuloides has a shiny pale straw yellow cap with scattered whitish warts, a somewhat darker center and a strongly bumpy, striate pileus edge. 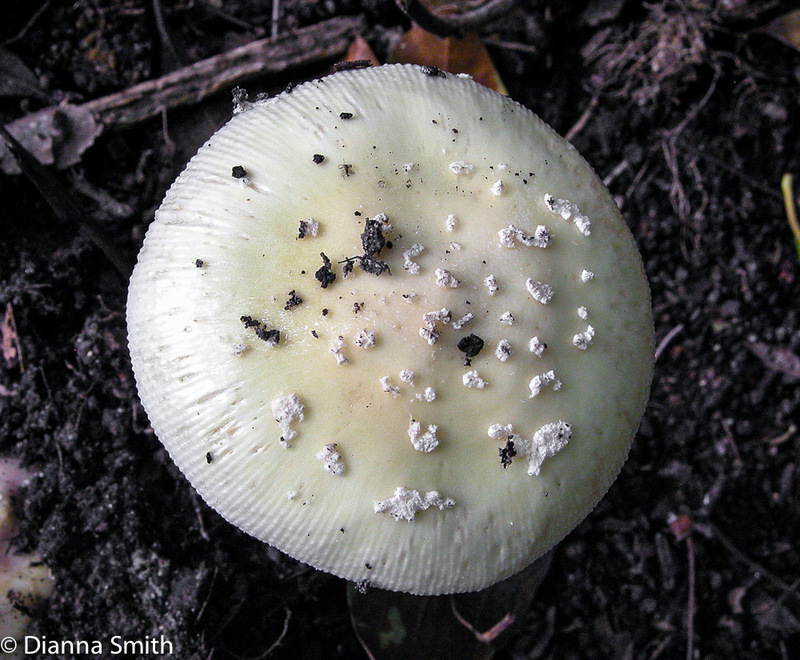 Gills are white and crowded with many shorter ones of different lengths. 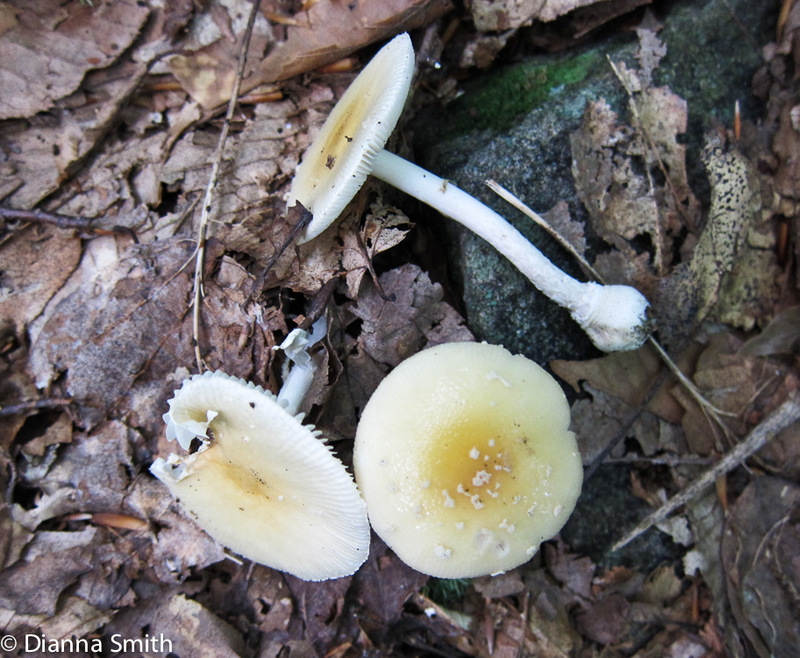 Unlike Amanita velatipes, the partial veil is fragile and is easily removed or disappears entirely. At base of stipe is a small basal bulb, often rimmed with loosely floccose volval material. Mycorrhizal with oaks and conifers.